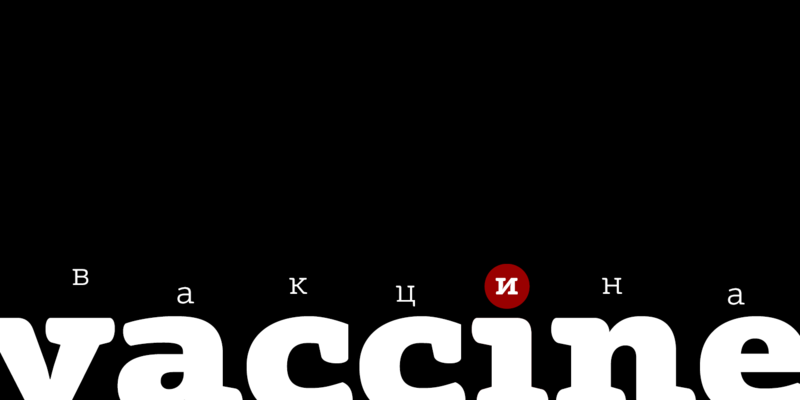 Vaccine is a slab serif font family with a mixture of the usual and one-sided serifs. We call it semi semi slab serif". Serifs and terminals have soft rounded shapes, but stem junctions on the contrary use hard constructions. Such combination of basic design features makes the font distinct and strong in a setting and delicate and soft in appearance. This design peculiarity, together with low contrast and strong serifs, produces the qualities needed for using the font in small sizes, in low quality print, and in bad reading conditions. Vaccine got modern stylish design and has a prominent place in the set of popular faces. The family consists of 10 members -- five weights with the corresponding italics. It can be used in a wide range of applications -- magazines, advertising, corporate identity, urban navigation, packaging, children books, etc. Design by Manvel Shmavonyan with participation of Gayane Bagdasaryan. Released by ParaType in 2013."